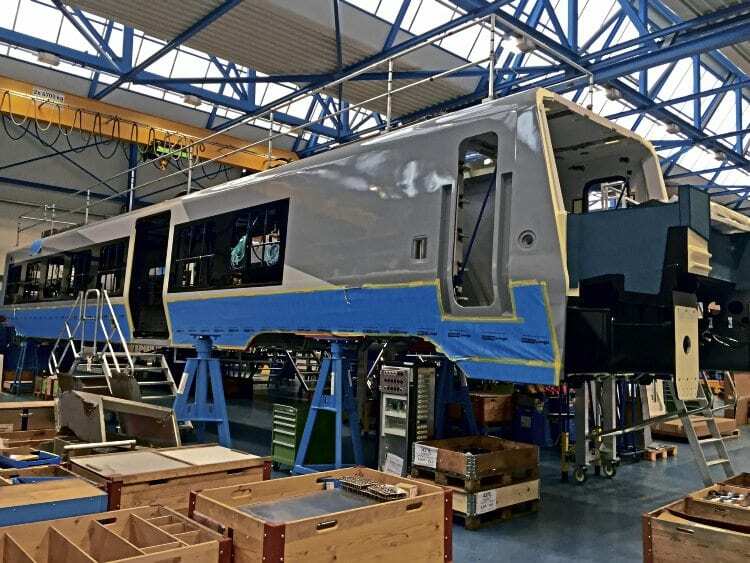 GREATER Anglia has released the first pictures of its new trains being built by Stadler. The bodyshells are manufactured by Stadler in Hungary before being transported to its Bussnang factory in Switzerland, where they are fitted out. In addition to the large picture windows, the air-conditioned carriages will include wi-fi, and both plug and USB sockets. When other carriages are completed they will gradually be grouped together to form entire trains together with the bogies. These trains are due enter service during 2019. Read more News and Features in the March 2018 issue of The RM – on sale February 7!